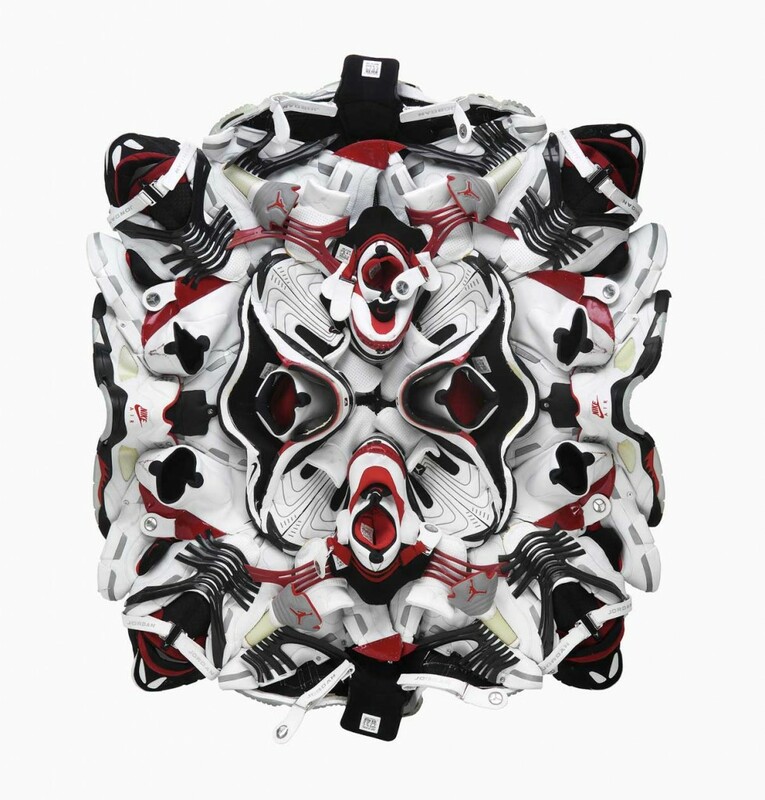 From the Smithsonian to the Sydney Biennale, Canadian artist Brian Jungen has won praise for his ability to turn pop-culture touchstones into natural-history artifacts. Now, Jungen’s new show at the Art Gallery of Alberta — the closest ever to his Dunne-za reserve in northern B.C. — brings it all home. Here, Jungen talks to Leah Sandals about sources, spirituality and the art world’s crisis of soul. Q: In Edmonton, you’ve revamped your artwork Carapace. Why? A: Well, change was part of the whole project to begin with. I wanted to try using the same materials two different ways. A lot of the time, I just find making the artwork is the most exciting thing. Q: I heard Carapace was inspired by Jules Verne. How so? A: It was initially made for an exhibition in the Loire Valley, where Jules Verne is from. I was reading some of his stories and I liked his idea of these mythical giant animals. So I thought it would be an interesting starting place. But my work is based on a number of different references — there’s not one single source. Q You grew up in northern B.C. How much of your inspiration comes from there? A: I was born in Fort St. John and grew up in the Peace River area. That’s where my family and reserve is. I think more than anything, growing up in isolation made me be creative, because a lot of my activity was based on creating my own internal world. Pretty much all northern communities are connected to the outside world now, but in the ’70s there was one TV station and there wasn’t much coming to town in terms of art or anything. I did a lot of drawing and painting of animals — that was a reflection of the context. But my interests grew outside of that the more I learned about art history [in college]. Q: You’re known for taking manufactured items like plastic chairs and making them look natural. But in a recent Vancouver show, you took animal hides and wrapped them around industrial auto parts. Why the inversion? A: It’s more like I’m combining [the manufactured and the natural]. I see them as equals. A lot of that Vancouver work was inspired by the landscape where I’m from, by things that you’d see in the north. There’s a lot of people who hunt there, and things like deep freezes and car parts are around outside. But I also wanted to make work that was kind of abstract. I wanted to make something that, when you first looked at it, would be like something you’d see at the Museum of Modern Art. They had very organic shapes, but once you looked at them closely you’d realize what the materials were. I like doing that. I like where people have this kind of “switch” in their heads, like when they see an artwork they look at the form first and then they see what it’s made out of. It kind of flips what happens. Q: Your art was featured in NeoHooDoo, an exhibition on spirituality in contemporary art. Where do you locate spirituality in your art? A: My work’s been pretty secular. My belief system is very private and I don’t want to make work that’s preachy. But it’s also really hard to make work of a spiritual nature in contemporary art. Like, I like the idea my work can move people, but I want the work to be as open as possible. That said, I do think there’s a need for something really meaningful in contemporary art because there’s been this overwhelming sense of irony in it for the last 10 years and it can be a bit depressing. I participate in a lot of my family’s and First Nations’ traditional things, but I would never show that in the context of the contemporary art world. How could you talk about that in a way that didn’t seem totally ironic or totally critical of religion or totally preachy? There’s no middle ground available, so I tend to keep my spiritual beliefs to myself. I like just to make work, and if it moves people to see the world in a different way, then I’m happy. Q: Even just bringing rural things into an art gallery unironically is unusual, isn’t it? A: Yeah. Everyone can’t be ironic without it being a totally shallow world. A lot of times the contemporary art world is critiqued for being like that. Where is the kind of soul of it? 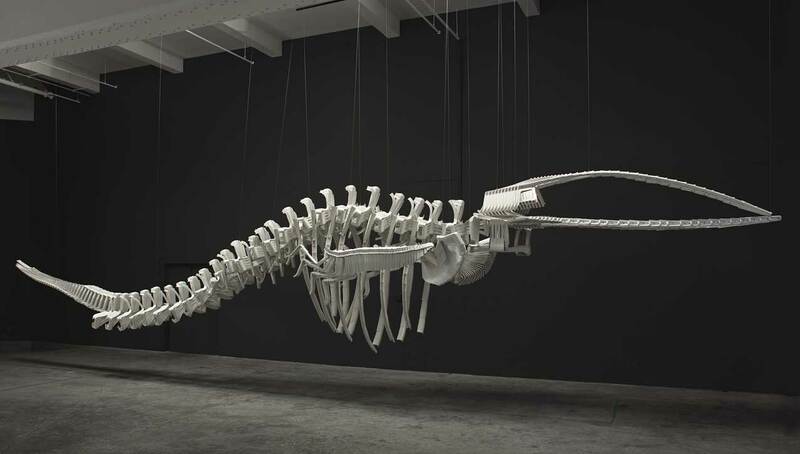 Brian Jungen’s exhibition continues to May 8 at the Art Gallery of Alberta. Interview by Leah Sandals for The National Post.